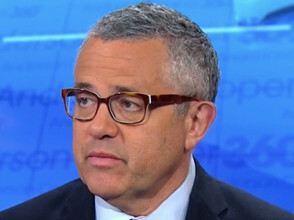 "Let's be specific," Toobin said. "This is really good news for a lot of people around Donald Trump. Donald Trump Jr, Jared Kushner, Jerome Corsi, the writer who had a draft indictment presented to him by Mueller's office and they decided not to go forward with this. Let's be fair here. There has been a lot of suspicion around certain people. And a lot of negative things have been said and imputation of criminal activity."